We want to speak with you, so we can give you the personal service you deserve. All of the people you will talk to at Lickton's are mechanics, and cyclists, who will go out of their way to help you. What is a Lickton's (Ultimate) Product? Simply put, a Lickton's (Ultimate) product is one we consider to be particularly outstanding, something that is of clearly superior value. We test virtually all of the products we sell, and an (Ultimate) product must have passed all tests with flying colors, and must be significantly better than all its competitors. It also means that the item is of long-term value, and we use it ourselves. Have you ever read a review in any cycling magazine re-reviewing a product six months after its initial test? We see the results in our store, from our own road tests. and from direct comments from you. At Lickton's, we are looking for the best products for our customers in terms of ease of installation, warranty, long-term durability, and price. We believe that a bicycle product should live or die in the field, not on the slick four-color pages in a magazine. If you do not see a product that you want, call us. We can order almost anything special for you. If you would like us to carry a product that you like, feel free to give us a call at (708) 848-2453. We look forward to your input. Manufacturers please call Bill in Technical Evaluation at (708) 383-5541 and procure a purchase order before sending any samples for testing. LickNotes are based on the opinons of our staff and may vary from one staff member to another. 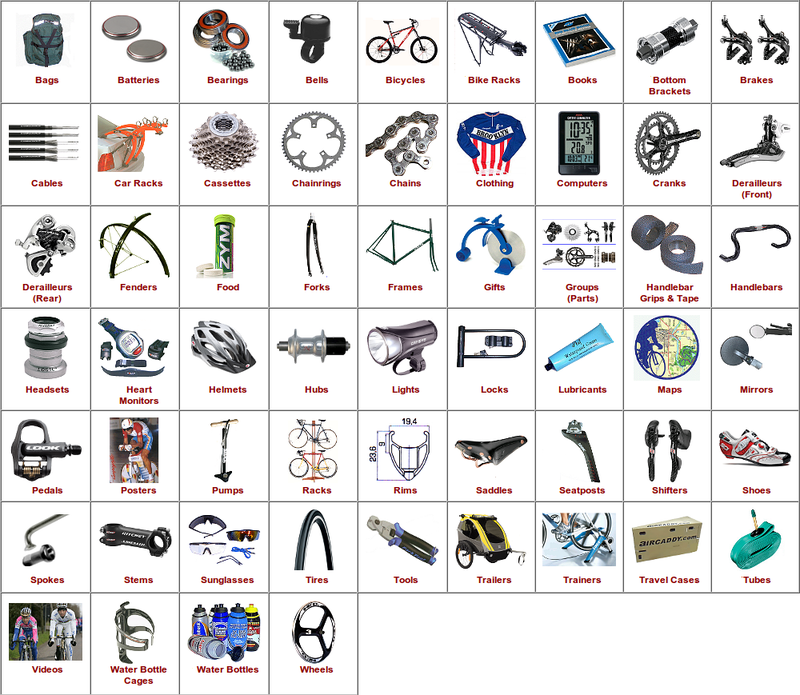 Wheels, trailers, trainers, bicycles, frames, fenders, repair stands and display stands by actual UPS ground rates. For orders outside the United States we use the US Postal Service, first class. (Actual International Rates plus $5.00). There are some limitations so please call or e-mail us for the total cost. For shipping to Canadian, APO or FPO addresses, we will accept Visa, Discover, Mastercard. Other international orders must be paid by bank money orders. Lickton's will pay up to one half of your money order or bank cheque fee, up to $10.00, to help expedite your order. Please email our store with any inquiries.